Extending on the capabilities of the Volcano Classic, the Volcano Digit Vaporizer is perhaps the most well-respected and technologically advanced oil and dry herb vaporizers on today’s market. It is a product of the genius of German engineers Storz and Bickel. The Volcano Digit is a desktop vaping device that has continued to draw comparisons with some of the best vaporizers in the market today. It has been doing it since the day of its inception in the spring of 2007. In fact, it has a unique design, high-quality build, and high performance. As a result, many experts consider it to be a benchmark in vaping world. Digital Volcano – How it works? The Volcano relies on filling the balloon with hot air. Then it gradually passes onto the herb chamber, which rests on top of the volcano. Two distinct attachment valves attach the bag to the botanical compartment. 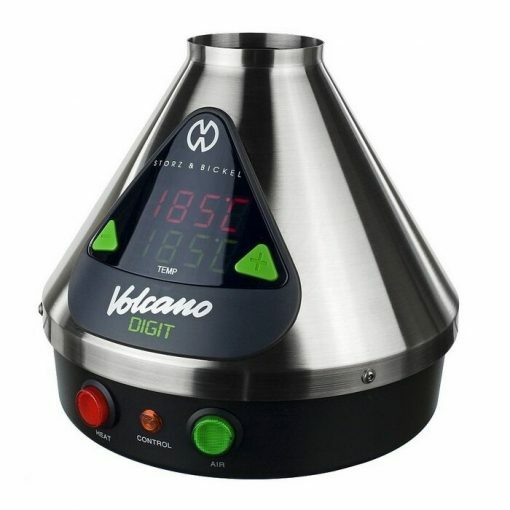 The unique design of the digital Volcano vaporizer offers vapor of intense and of premium quality. No other desktop vaporizer can match this, let alone the portable ones. With the digital volcano’s convection heating system, there’s virtually zero risk of combustion and vaporization because of the conduction. This ensures that your botanicals don’t emit any unwanted substances. Also, you can set the vaporizing temp within just about pinpoint accuracy. What this means is that you can achieve the density and thickness of vapor of your choice. For those of you who prefer lighter or thinner vapor clouds, it advisable that you start at a lower temp. Then, work your way up till you achieve the consistency of vapor of your choice. If you are a first-timer, start at a baseline temperature (375°F). Then, gradually increase the temp by a range of 15 to 20°F after filling every balloon. This is to maximize the extraction vapor as well as essential oils from the botanicals. In a nutshell, this device produces vapor quality that is hard to match even by the latest vaporizers. They made it from high quality and heat resistant materials. As a result, the Volcano is among one of the sturdiest units. Weighing four pounds, this is also one of the heaviest models. Therefore, yes, you’ll need two hands to carry it around. The digital Volcano has one of the biggest footprints of any vaporizer. The 8″ diameter makes this device incredibly stable on any surface. Therefore, you don’t have to worry that your vaporizer will fall from a raised surface onto your feet. Remember, it weighs four pounds! 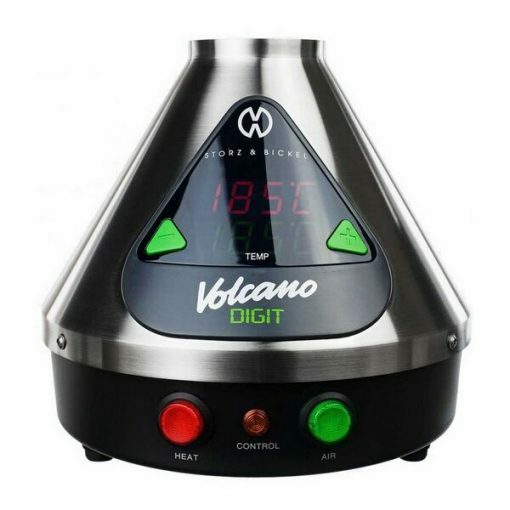 The digital Volcano is the top option for those who want a vaporizer that guarantees great usability. Thanks to the unique Easy Valve system, this device is easy to use. With the LED dual-temp display as well as large buttons, setting the temperate is a breeze. Also, maintaining this device is easy. You can use the brush to clean out material left in the filling chamber. You can also periodically change the screens as required. The manufacturer has also included a couple of screens and an air filter that they put in the bottom. You should check it every month. 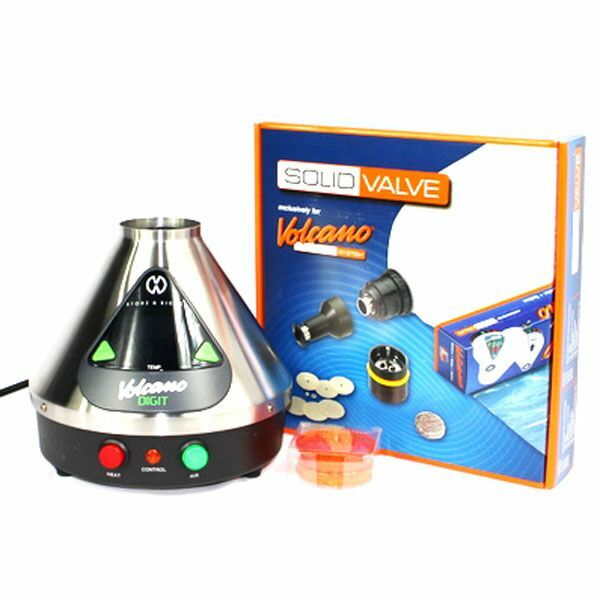 The digital Volcano valve system is more convenient for those looking for a device that is easy to use. Besides being easy to use, the unit has been designed to achieve minimal maintenance. Featuring an easy to use Valve Balloon Adapter, this device even brings more convenience to users. The standard replacement set balloons make it easy to get started, especially for first-timers. All you have to do is to unravel the balloon and remove the mouthpiece.You should replace the filling chamber only once every year. However, if you keep it clean using the cleaning brush, the unit can go up to 2-3 years. You can reuse the easy valve balloons. However, the manufacturer recommends that you should throw them away once they become too dirty. The residue starts to build up on the balloon’s inside as well as around the mouthpiece. The unit can give you 100-200 uses per bag, depending on the frequency of use. Easy valve balloons come in 2-foot and 3-foot sizes. 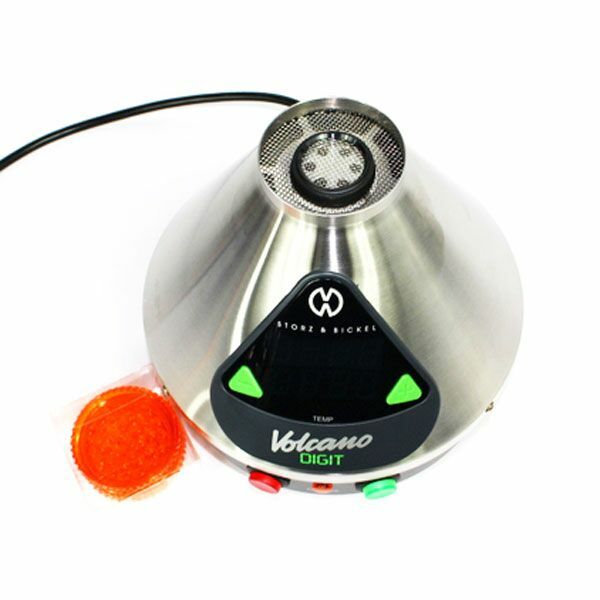 The Digital Volcano is among the best desktop vaporizers available on the current market. Irrespective of your preferred herb, the device is going to produce exactly what you need. This is particularly in terms of quality and quantity. The unit itself isn’t the cheapest appliance you’ll ever purchase. However, if you’re ready to spend the extra cash, you’re sure to get a high-end vaporization experience. In addition, it will last longer than you can ever imagine. There are two distinct versions of the Volcano. The digital version is going to be more precise. You can input the exact temperature and achieve the heat you want a lot easier than you can with the classic one. 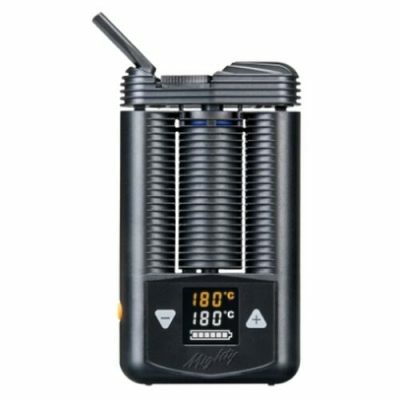 But the Classic is still a fine vaporizer, and it gets the temperature close enough for most people. The digital version also comes with an auto-shutoff feature, which is nice but not essential. In our opinion, the differences are small, and we would definitely consider the classic version as a great alternative if you want to conserve your money. The Digital Volcano Vaporizer ise a great buy for expert vapers and especially for medical herb users. For those who want to vape herbs for an extended period, the Volcano Digit can be cost-effective. Therefore, it does this in terms of time as it offers more vapor and doesn’t waste any herb. If you’re willing to shell out the extra bucks for an unrivaled experience, Volcano Digit is your best bet.